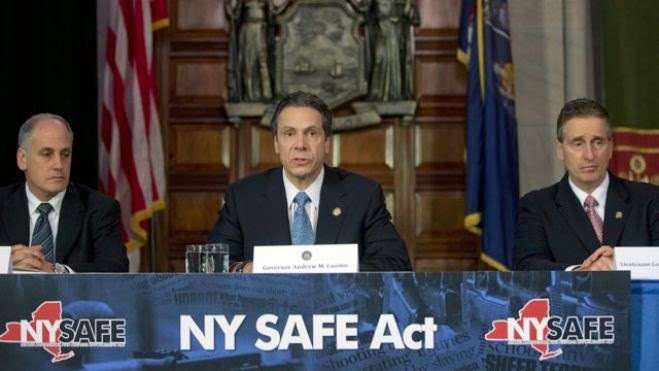 The State of New York keeps a database of individuals that it considers too mentally ill to own a gun. Recently released figures indicate that the list has grown to a massive size and includes many people who pose no threat to the public. Figures published last month indicate that the registry includes 34,500 people. Mental health doctors say that this figure far exceeds the number of people who actually have dangerous mental illnesses in the state. 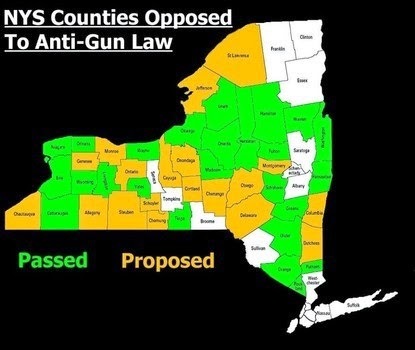 The state of New York requires doctors, psychologists and social workers to notify county officials about patients who they believe should be prohibited from owning firearms. The decision for who qualifies for gun confiscation appears to be completely up to the doctor. There have already been at least two cases where guns were confiscated from law-abiding citizens. In 2013, a college librarian in Amherst, NY was forced to surrender his weapons despite no criminal record or indications of mental instability. Why? Because he had briefly been prescribed anti-anxiety medication. Another individual, who remains anonymous, also had his pistol permit revoked after the state found out that he was seeing a therapist for anxiety. He had no criminal record or history of violence. Now it appears that thousands of other peaceful citizens could face similar consequences. Awk!! We have similar STASI-style system here in Finland. Thanks to our spineless and ignorant politicians, our PoliceCommand forced new strict and unworkable gunlaws through couple of years ago. Of course, President of Finland was that time socialist one, a real DDR-admirer. But I just think that almost all of our politicians afraid their own People/Citizens. There should be a mechanism to identify those who should be denied a gun. That is just as there should be a mechanism to deny a person the right to vote, or hold certain jobs, or have a passport etc. We hire people to manage that process. We build big marble buildings and put them in black robes. They are called judges and their place of business is called a court house. Fifty years ago if a doctor thought that a person could be a danger to himself or others the doctor could move for involuntary confinement in a mental asylum. There was a due process system worked out and it involved an open hearing before a judge where the doctor's opinion could be challenged. After Geraldo Rivera walked into Willowbrook with a camera people were so shocked by what they saw that the government shut down the mental hospitals. Now they don't want to offend anyone by locking them up so they just allow the doctors to take away people's rights without any due process. In the meantime the seriously ill wander the streets untreated.